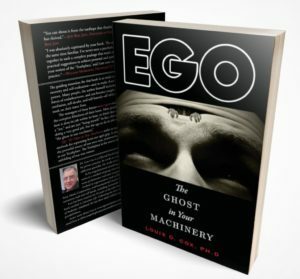 Services – Ego Mechanics Inc.
EgoMechanics, Inc. can work with individuals and organizations in a variety of ways that enhance communication, productivity, and personal growth. The expected outcomes of this work are extraordinarily valuable to each participating individual. Listed below are the primary workshops for team building and also other workshops offered by EgoMechanics, Inc. These interviews give the consultants a general picture of what’s working and what’s not in terms of team communication and functioning. These interview sessions are also used to explain to the staff the nature and purpose of the team training, introduce the consultants, answer questions, give guidelines and timetables, as well as creating the groundwork for safety and authenticity in the consulting process. Coaching individual team members regarding development of personal power, interpersonal intelligence and job satisfaction. Provides empowering and effective knowledge of healthy and unhealthy family functioning and a new communication format that the family uses to build collective strength and wellbeing as a team on a progressive basis. Provides a clear definition and description of shame, its role as a driving force in addiction, and the problems it creates in early recovery. Practical tools for identifying hidden shame and releasing from its grip are introduced. Training in identifying ego, character and role types, their effects on the course of both addiction and recovery. Strategies for avoiding and managing the triggers and trps of each type are introduced. Provides clarification of the differences and interaction between love, dependency and survival. Introduces methods for the development of personal power and choice in relation to each. Describing the unique role of the male ego and identity in recovery. Methods for developing authentic inner strength in men are introduced and practiced. Being in the moment is powerfulbut not always liberating or pleasant. The meaning, power and misunderstandings of “being in the moment” are presented and methods for expanding one’s presence in the moment are introduced and practiced. The differences between the authentic inner adult, the grownup, and the inner child are presented. Methods for developing the authentic inner adult and integrating the inner child are introduced and practiced. The skill with which a therapist uses a therapeutic technique in a given moment with a given client is directly related to the level of the therapist’s personal awareness in that moment. Methods for developing both technique and awqreness will be presented. The power and pleasure of “playing” with barriers, limits and possibilities are explored. Methods for the adult use of play to foster personal growth and pleasure are presented and practiced. The close relationship of psychological change and spiritual awareness is explored and experienced. 2:00 p.m. – 5:30 p.m.
EgoMechanics, Inc. © Specialists In Developing High Performance Teams.